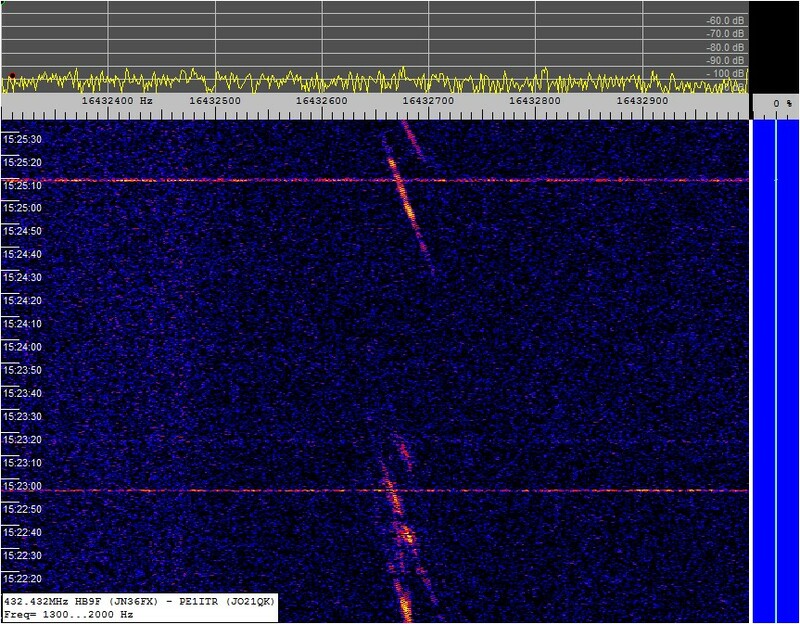 Many radio links between the 500 and 800 km at VHF / UHF are made via airplane scatter. This page is a collection of experiments that these radio links are investigated. It is intended to be notes to myself. 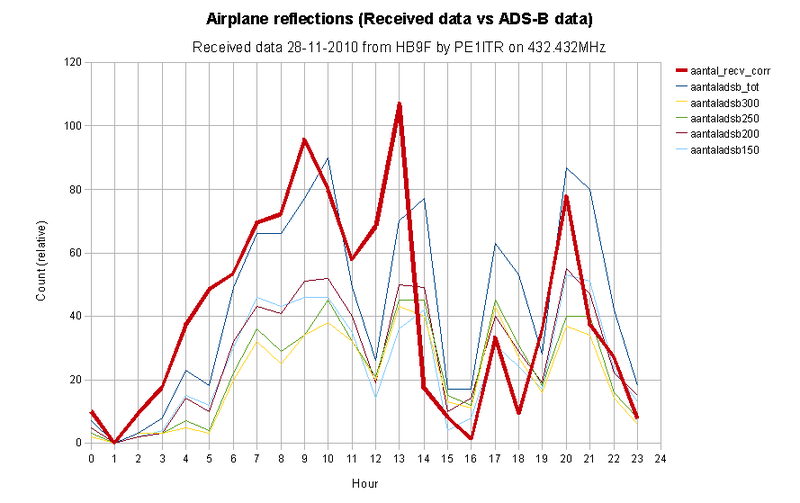 Below a facinating picture of airplane reflections from the graves vhf radar. 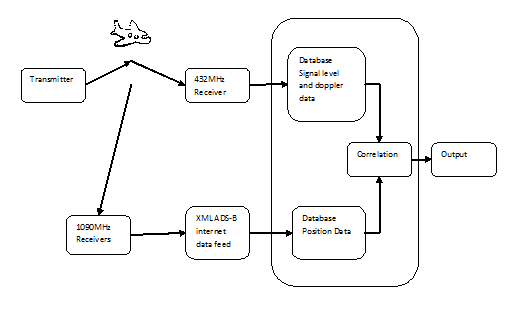 There is correlation between the airplane activity within the antenna beam and the signal levels. 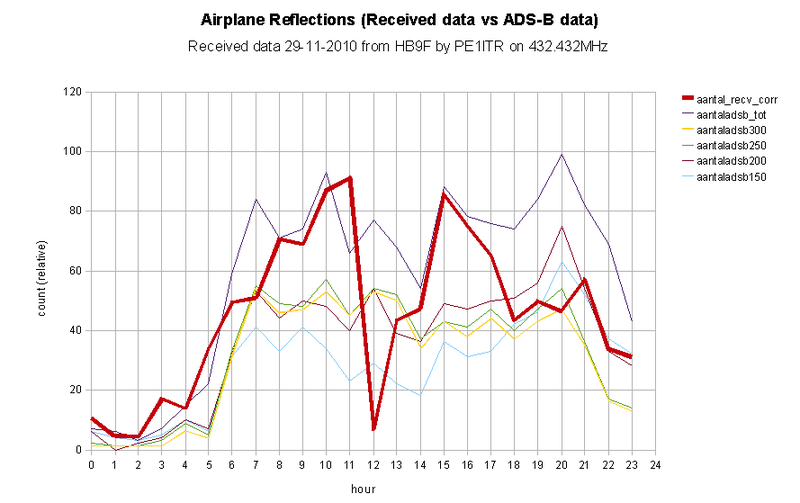 The red line is receiver data and the other colors are ADS-B data. Sometimes the peak is off 1 hour. It looks like the ADSB data has a UTC v local time issue. The data from the receiver is put in a text file and imported into the database. 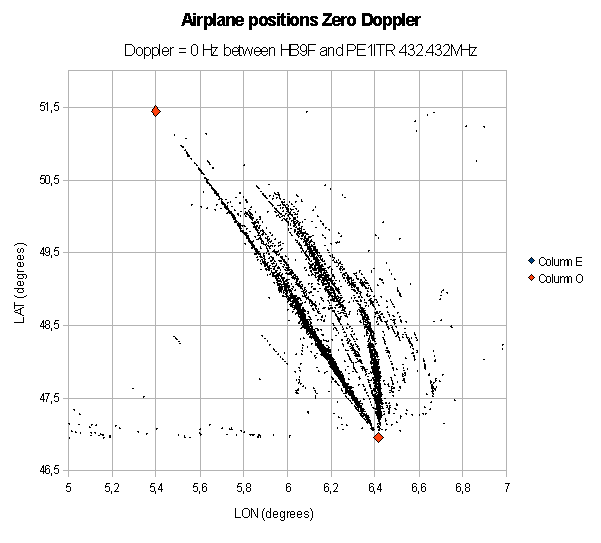 The state of zero doppler in the reflection path is defined on the line between transmitter and observer. And on an eleptical lines between transmitter and oberver. 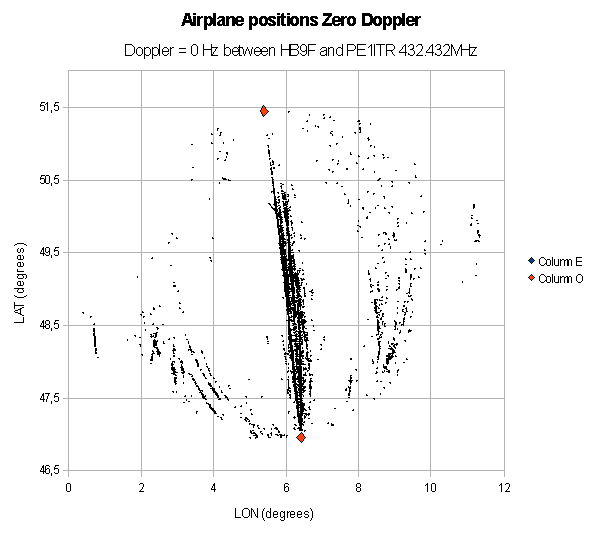 Below 2 graph with the zero doppler points calculated from the ADS-B data. When testing the receiver it is tuned to a 217.250Mhz TV carrier. This are from airplanes.... Nice pictures.